Calling up and getting through on the Danny Baker show when he was 12. Josh is a really cool award winning young at heart comedian - recently turned 30! Since his first gig in January 2008 Josh has had far more of an impact on the comedy circuit than he ever imagined. After stumbling it to the final of the prestigious 'So You Think You're Funny' at the Edinburgh Fringe that August he has now pulled himself together and got the hang of it all a bit more. He has since been named FHM Stand Up Hero 2010 (ITV4), Leicester Mercury Comedian of the Year 2010, Chortle Best Breakthrough Act Nominee 2011, Loaded LAFTA Awards Best Newcomer Nominee 2012 and, most recently, been nominated as Best Newcomer by the Foster's Edinburgh Comedy Awards. Now regarded as one of the best up-and-coming acts on the UK circuit Josh has supported Stephen Merchant, Alan Carr, Kevin Bridges and Michael McIntyre. He found all of them to be lovely people, in case you were interested. On TV Josh has taken part in Live At the Apollo (BBC 1), Stand Up For The Week (Channel 4), Show and Tell (E4), 8 Out Of 10 Cats (Channel 4) Loose Ends (BBC Radio 4), Arthur Smith's Balham Bash (BBC Radio 4), Fighting Talk (BBC Radio 5Live), Rock n' Roll Football (Absolute Radio), Back End of Next Week (BBC Radio 5Live), Soccer AM (Sky One), Edinburgh Fest Comedy Gala (BBC 3) and Mark Watson Kick's Off (ITV4). But his greatest achievement remains calling up and getting through on the Danny Baker show when he was 12. Before making his living from stand up Josh wrote in a freelance low-level role for Guardian Sports online and When Saturday Comes. 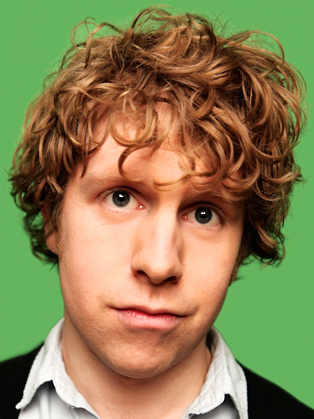 He has also written for TV shows such as Mock The Week and 8 Out Of 10 Cats. He is 5 feet 6.5 inches and his favourite TV show ever is The Simpsons (series 4 to 8).